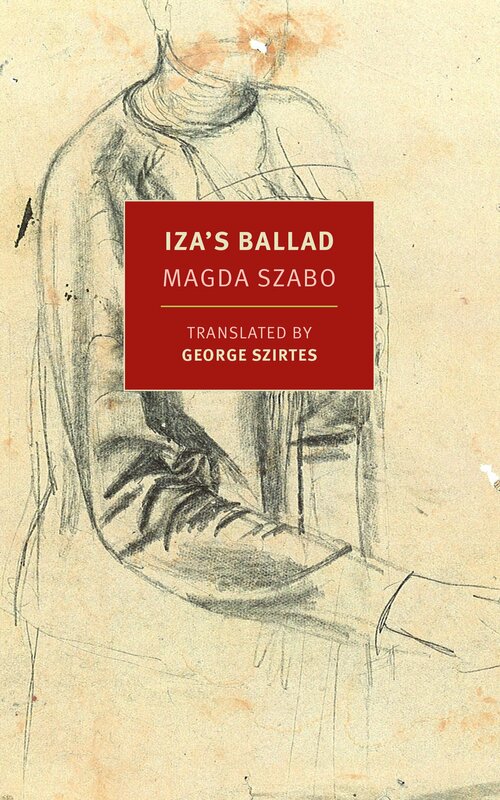 Although not the shimmering, layered masterpiece that is Magda Szabo’s 1987 novel The Door (translated last year to critical acclaim), Iza’s Ballad is an accomplished work of similar emotional weight. Before The Door’s publication, Hungarian literature in translation appeared to be a dark, male-dominated realm filled with massive volumes by writers like Peter Nadas and Laszlo Krasznahorkai. The Door was not only an exceptional book but served as a metaphorical threshold as well, with femininity and modernity finally crossing through the jambs. The elderly housekeeper Emerence and The Door’s narrator, an unnamed writer, represent a range of dualities, each from opposite poles of history, feminism, and capitalism. The Door is an exceptional rendering of two women from different classes – the fading generation and the one that remains. Iza’s Ballad was written long before The Door, in 1963, but addresses many of the same themes. When the elderly Ettie’s husband Vince passes away, she moves to Pest to live with her daughter Iza in her apartment. Leaving her decrepit-but-cozy rural cabin and having to suddenly adopt the contemporaneity of Iza’s life proves to be a difficult emotional adjustment, and complicates the kindness carried by both women throughout their grief. In his introduction, translator George Szirtes condenses Iza’s Ballad into a novel about “what to do with the old,” but it’s more nuanced than that: Szabo tenderly watches over Ettie throughout the novel, developing heartbreaking scenes of the old woman alone in Iza’s apartment listening the the refrigerator purr like some cat from the future, or trying to make herself useful to her daughter’s devoted housekeeper. Despite its third-person narration, this is Ettie’s story. Szabo effortlessly places her readers into Ettie’s heart and mind: Iza tries to help us, but she is too busy for us, and unintentionally hurts us. While the cultural, generational rift seen in The Door crackles throughout Iza’s Ballad, this early work is more about the futility of feebly aging, and about how hard is it to live when one’s worldview was established a generation or more ago. They finish their schooling, marry, and set out professionally into the world of medicine. But then they get divorced. Their marriage fizzles with an air of mystery, a strangeness compounded by Antal’s insistent loyalty to Iza’s parents. He appears on Ettie’s doorstep with news from the hospital of her husband’s passing, and he makes the first call to Iza to fill her in. His commitment is suspicious, perhaps stemming from economic guilt or worse: a penchant for romantic manipulation. His entire existence in Iza’s Ballad is a peculiar one, and Szabo lures her readers into warping his seemingly genuine love and consideration into an empathetic sort of villainy. Szabo is a master of the crumbling boundaries between aggression, kindness and despair, and perfectly shows how these realms can blur into each other in the face of great sadness. She equalizes class and generational boundaries with similar finesse, and in Iza’s Ballad attempts to find a way for mother and daughter to meet somewhere at the threshold.